With customer experience quickly becoming one of the top ways to differentiate your business from the competition, now is a great time to optimize your contact center. 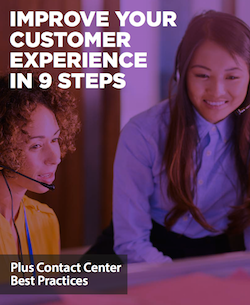 Your contact center is one of the main ways customers interact with your business, and there are several things you can do to boost their satisfaction with the experience. This is often an easy way to improve key performance metrics using tools you already have. with our latest guide, plus learn more about contact center best practices.